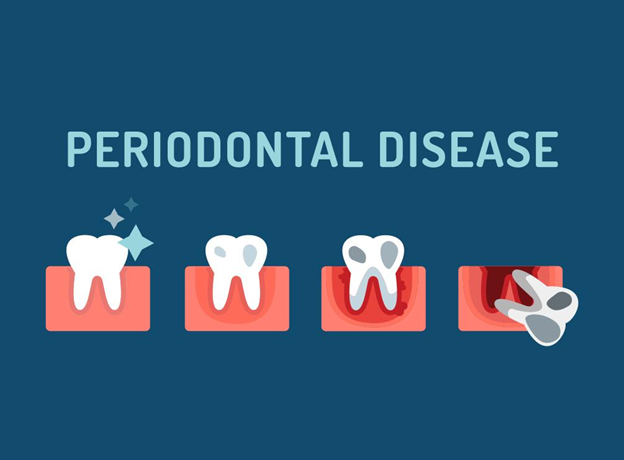 Periodontal or gum disease happens when there is excessive bacteria growth on your teeth, which may result in gum infections. If left untreated, this can affect the integrity of the bone that supports your teeth. Over time, this may also lead to tooth loss. The Arlington Dental Team believes that the more you know about this condition, the better chances you have of getting proper treatment. To help you understand this disease, our reliable family dentist in Arlington, VA, discusses its three stages. The earliest stage sets in when bacteria constantly builds up along your gum line, also known as plaque. Over time, these bacteria may release toxins, which may cause bad breath. Your gums may also swell and bleed in this stage. By observing proper oral care and keeping your routine professional cleanings, we can prevent this from progressing to the next phase. In this stage, plaque hardens and tartar forms under your gums. These may damage the fibers and bones that anchor your teeth. Your gums may also recede and make your gum line look lower. Gum tissue will eventually start detaching from the surfaces of your teeth and form pockets, which make fertile breeding grounds for bacteria. You may experience increased tenderness and bleeding, as well as emit more noticeable bad breath. To prevent further progression of the disease, we may recommend tissue and root therapy and/or deep cleanings during your dentist appointment in Arlington, VA. The final stage of gum disease happens when extensive and serious damage to gum tissue and supporting bone occurs. This may cause your teeth to shift or loosen and the pockets to deepen. Tooth loss may happen due to gum tissue erosion. During this stage, your teeth become overly sensitive. You may experience extreme swelling and bleeding of your gums. In most severe cases, pus may develop and cause foul-smelling breath. Generally, proper brushing and flossing can reverse early stages of gum disease. Nonetheless, when plaque has built up and hardened to tartar, we may recommend professional cleaning in our dentist office in Arlington, VA. If your condition is severe, we may suggest scaling and root planing. These can reduce the size of the pockets and help gum tissue to regenerate and reattach. To control the infection, we may also prescribe antibiotics to aid in your gingival tissue healing. By scheduling regular dental checkups, we can help you avoid developing gum disease. Call us today at (703) 563-4419 to schedule an appointment.